quarrygirl.com » Blog Archive » yet another vegan stuffed holiday roast. i love match. yet another vegan stuffed holiday roast. i love match. i hate the holidays, but man i love holiday food. 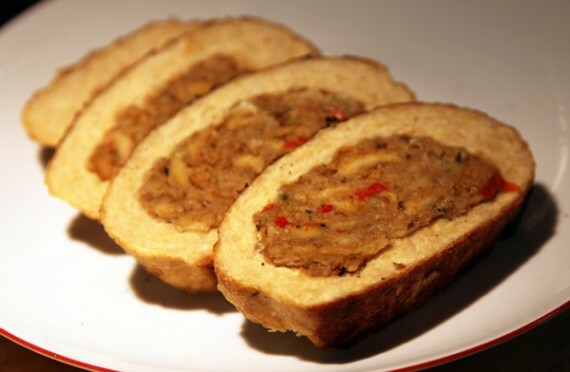 the best thing about this annoying time of year is that several different vegan companies all release their version of the stuffed roast. over the weekend, i had the chance to try a roast by a great company that’s relatively new on my radar, match meats. 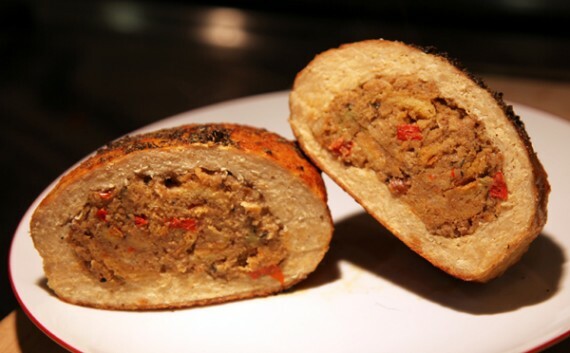 their stuffed holiday roast consists of crispy faux chicken packed full of sauteed vegan sausage and vegetables. of all the different brands of roasts i’ve tried, this is definitely the one that tastes the most like real meat. 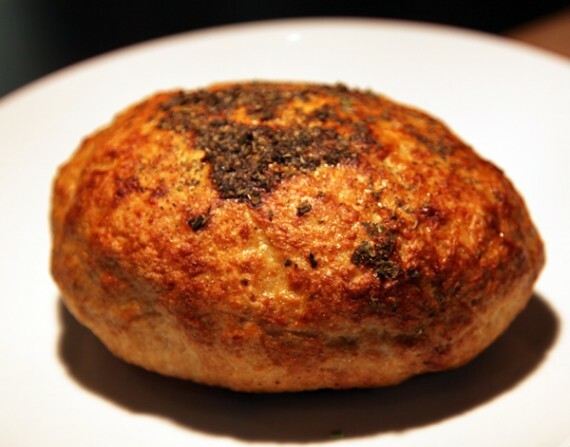 get one of these and bring it to a holiday party full of omnivores, and it’s sure to be a crowd-pleaser. it doesn’t have lots of grains or vegetable flavors in it, but instead a really authentic chicken and sausage taste. as a vegan, i thought it was pretty great…it tasted like meat, but without all the gross textures. the bad news is, match is based in st louis and right now these roasts are only widely available to our friends in that area. i was lucky enough to receive my roast directly from match to sample (yep, one of the perks of having a vegan blog! ), and now i’m sad i can’t just pop to whole foods and buy another one. however, match has been kind enough to post the recipe for this roast online, so us here in LA can make it at home! it calls for basic ingredients, as well as some match vegan meats which you can buy online from cosmo’s or vegan essentials. the recipe looks super easy to, so i will probably end up giving it a try. i have heard rumors that some restaurants in LA may start carrying match, which would be awesome. until then, you should bug your local whole foods about it. as we’ve seen, whole foods is pretty good about listening to its customers. i’ve said it before, and i’ll say it again…i think match is a company that makes vegan meat so realistic tasting, it may convince a few omnivores to switch to our side. i sure hope i’m right! for more on match, check out their website…and follow them on twitter. aw man! i wish i could eat this. the tofurky roast i made last year scared my parents off most faux meats. I talked to my mom yesterday and it sounds like she found one of these in South Dakota for our X-mas dinner. Looking forward to trying it out! I nice departure from the Tofurkey roast I’ve had for the past 6 holiday dinners! I thought they used to have some LA restaurants that stocked it. I’m in STL now and there are 81 places that carry it. They have a product locator on their site, nothing in LA, though. I wish I could get my hands on one of these for Christmas. I’ve been cooking a lot, and by Friday I would love to just throw something in the oven. This is a great company and a great product. I wish they would pull the trigger and start marketing it. If enough of us in the west knew about it, they would land a distributor. I should add, Tofurky tastes like rubber as well and I don’t really like all the faux meat stuff.